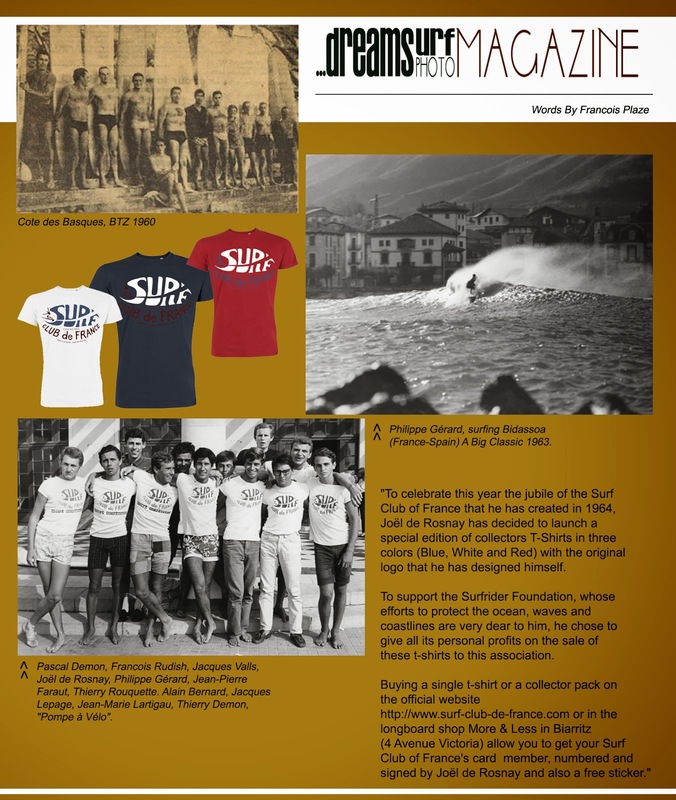 "To celebrate this year the jubile of the Surf Club of France that he has created in 1964, Joël de Rosnay has decided to launch a special edition of collectors T-Shirts in three colors (Blue, White and Red) with the original logo that he has designed himself. To support the Surfrider Foundation, whose efforts to protect the ocean, waves and coastlines are very dear to him, he chose to give all its personal profits on the sale of these t-shirts to this association. Buying a single t-shirt or a collector pack on the official website http://www.surf-club-de-france.com or in the longboard shop More & Less in Biarritz (4 Avenue Victoria) allow you to get your Surf Club of France's card member, numbered and signed by Joël de Rosnay and also a free sticker." 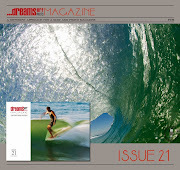 ......more to discover on the 22nd issue of DREAMSURF Mag.